We have been helping travelers and businesses with air charter, air taxi, and remote logistics in Alaska since our start in 1982. We have a fleet of well maintained and dependable DeHavilland Beaver and Cessna 206 aircraft to help you with whatever your charter needs may be. 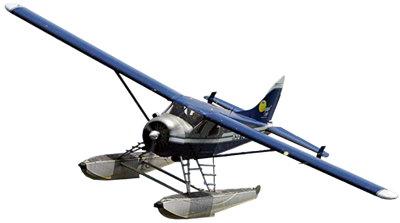 We fly our aircraft out of Lake Hood airport and Ted Stevens International Airport. Lake Hood is the busiest seaplane base in the world, located right in Anchorage. Whatever your air taxi or air charter needs may be, Regal Air knows the remote areas of Alaska and can help in your logistics planning. Regal Air operates our Air Charters year round, with floatplanes during the summer season, ski planes during the winter season, and wheeled aircraft year round. Regal Air has an unmatched safety record since our beginning in 1982. We owe this to our commitment to well maintained aircraft, experienced and well trained flight crew, and diligent aircraft dispatchers. We have time tested systems and strategies for ensuring our airplanes make it to their destinations and back every time. To find out more about how we put your safety 1st, please visit our Safety Page.